"Eyes are the window into a person's soul", they say. Window or not, eyes are definitely the most beautiful feature on a pretty face. They cry with you and they laugh with you. So its little wonder that eyes are the most prized possession of most women. We all try to make the most of our eyes with make up and care. But as women start ageing, eyes depict the change in body's appearance. Wrinkles start to work around eyes and they seem to lose the sheen. As a result, more than your body, your face gives your age away. How can you prevent that? How To Prevent Wrinkles Around Your Eyes? Moisturize: The first rule of skin care is "moisturization". Like the rest of your face, your eyes also need nourishment. The food for your skin is moisturizing cream/lotion. Throughout the day, your skin loses moisture and it is necessary to replace the lost moisture at the end of the day. 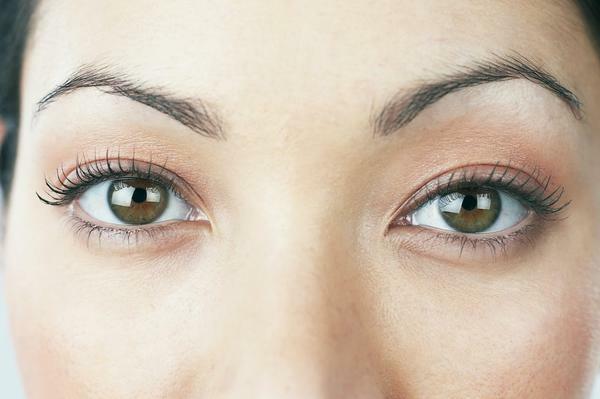 Products: When you buy products for your eyes, make sure that you buy herbal and natural products. Harsh chemicals can only damage your skin further. So watch out for what you should/should not use. Collagen: The depletion of elastin, which is a network of elastic fibers within skin cells, causes skin to fold up into the ridges we know as wrinkles. Loss of the skin’s essential fats is another causative factor, which is preventable with the use of collagen-based skin care products. The skin loses its natural store of collagen (a skin protein) with advancing age. So choose a collagen based treatment for your eyes. Beauty Sleep: Regular 8 hours of sleep everyday is essential to give your eyes a peaceful and rested look. Stress stress: Avoid stress and tension as that can age you at a kuch faster pace than your years! Reduce Puffiness: As you age, eyes tend to grow puffy. To avoid puffiness, reduce Sodium in your diet and drink loads of water every day. Et fresh food and maintain good levels of blood Haemoglobin. Crow's Feet: Wrinkles around eyes give the appearance of Crow's Feet. Crow's-Feet start popping up when you are in your 40's,therefore you need products that contain vitamin C, peptides, and retinols to ease creases. If you start taking care of your eyes and the rest of your face at an early age, you might be successful in evading the effects of ageing. So go for it gal! Get beautiful! Dark Valleys Around Your Eyes? Do You Want Clear and Glowing Skin?